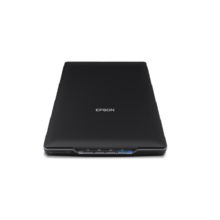 With an extraordinary high optical resolution of 4800 dpi and optical density of 3.2, you can be assured that every intricate detail in your images will be captured and preserved. Accurate colours and details can be reproduced with 48-bit colour depth and embedded ICC profile. 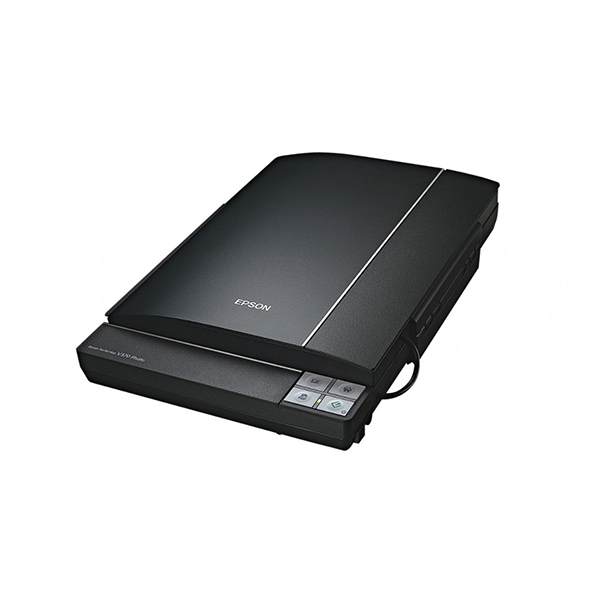 The Epson Perfection V370 scanner is bundled with professional software that allows you to easily manage your scanned files. 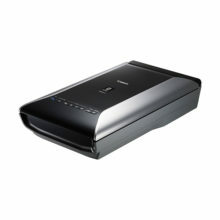 Easily scan, view, edit, save and transfer scanned documents. It can optically recognise barcodes, OCR characters and blank pages in scanned documents for job separation. It provides quick access to post-scan destinations, including scan-to-print, email, Windows™ Public Folder, FTP, Web Folder, and Scan-to-Cloud services such as Microsoft® SharePoint Server, Evernote® and Google® Docs™. With up to 30 customisable job settings on the scanners, Document Capture Pro allows creation of one-touch buttons for the most frequently used job settings. Makes regular scan jobs easier by providing 4 pre-defined and 10 customisable jobs. User can also assign these jobs to the four buttons on the scanner. This application supports USB only. Network option is not supported. This OCR software enables searchable content on your scanned PDFs for greater productivity. The languages supported are English, Traditional Chinese and Simplified Chinese. *Version 9 for Windows, version 8 for Mac OS X.
Epson Scan has a complete digital imaging solution that enables greater enhancement and controllability to achieve picture perfection. Removes dust and scratches from photos so that your images appear clear and blemish-free. Makes necessary adjustments to the brightness of images that look darker because of strong background lighting. 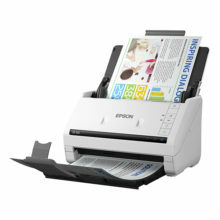 Epson Scan provides complete document enhancement solution for better clarity and readability. Improves text recognition when scanning text documents, whether in colour, grayscale or black-and-white. Removes background for better clarity, which is especially useful for double-sided printed documents. Automatically detects text and picture areas on a page and scans text in black-and-white, images in halftone to achieve the best results. Emphasise a single colour (red, green, blue) in black-and-white or grayscale scanning. Examples include enhancing signatures on cheques and documents using blue ink, or “Confidential” and “Urgent” stamps that use red ink. Removes a single colour (red, green or blue) from documents such as coloured backgrounds, stamps or text in black-and-white or grayscale scanning. Experience convenience and versatility like never before. Four one-touch buttons on the control panel are pre-defined with Copy, Start, Scan-to-Email and Scan-to-PDF functions. Allocate customised job settings effortlessly to these buttons through Epson Event Manager to suit your personal preferences. You can easily back up and digitise your collection of film and slides with Epson Scan, making it easy to scan virtually anything from everyday documents to books, magazines, photos and 3D objects. 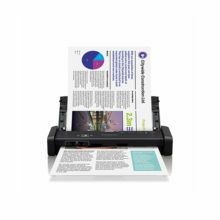 With Epson ReadyScan LED Technology, scanning starts instantly with no warm-up time required. In addition, the technology is environmentally friendly as it is mercury free, low in heat dissipation and power consumption. Results based on Epson internal testing conducted using US-equivalent 120V models.